Cassava and yam farmers’ preference for agricultural information is a precise account of agricultural information communication, which is the first in its series. It is well outlined in chapters that take the reader through the text in a manner that enhances comprehension. 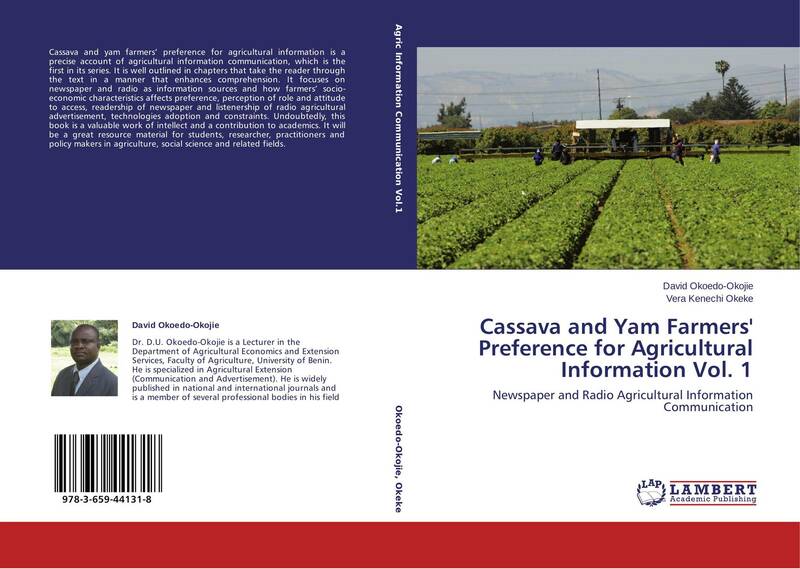 It focuses on newspaper and radio as information sources and how farmers’ socio-economic characteristics affects preference, perception of role and attitude to access, readership of newspaper and listenership of radio agricultural advertisement, technologies adoption and constraints. Undoubtedly, this book is a valuable work of intellect and a contribution to academics. It will be a great resource material for students, researcher, practitioners and policy makers in agriculture, social science and related fields.